Pulsarail® Tear apart Waistcoat Product Description 'V' style reflective tape front but vertic..
Pulsarail® Short sleeve Polo Shirt Product Description Thermally applied stretchy 3M™ Scotchli..
Pulsarail® Long Sleeve Polo Shirt Product Description Thermally applied stretchy 3M™ Scotchlit..
Pulsarail® Combat trouser Product Description 3M™ Scotchlite™ Reflective Tape. Durable 275g..
Pulsarail® Interactive Fleece jacket Product Description Original Pulsarail® chevron design 3M..
Pulsarail® Interactive Bodywarmer Product Description Original Pulsarail® chevron design 3M™ S..
Pulsarail® Interactive Soft Shell Jacket Product Description Original Pulsarail® thermally app..
Pulsarail© Combat Coverall Product description: Original Pulsarail® chevron design 3M™ Scotchl..
Pulsarail® Breathable Waterproof Storm Coat Product Description Original Pulsarail® chevron de..
Pulsarail® Padded Waterproof Storm Coat Product Description Original Pulsarail® chevron design..
Pulsarail® Padded Bomber Jacket Product Description Original Pulsarail® chevron design 3M™ Sco.. Product Description 3M™ Scotchlite™ Reflective Tape. Full length YKK® 2-way zip concealed by..
3 layer, 100% polyester woven twill with highly breathable PU laminate membrane. Original PULSA..
Pulsarail® Foul weather Overtrouser Product Description Original Pulsarail® chevron design 3M™..
Pulsarail® Foul Weather Coverall & Interactive thermal liner Product Description Original ..
3M™ Thinsulate Insulation Type G100 quilting for maximum heat retention and comfort. 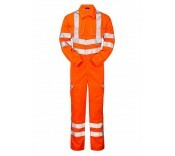 ..
Pulsar’s high visibility clothing garments are renowned for offering the highest levels of performance and quality. Manufactured from durable and robust materials to the highest standards of production; all of the pieces of clothing in the Pulsar range benefit from the family-run business’ 30 years of experience in the industry. At Manchester Safety Services, we stock a selection of Pulsar high visibility garments including coats, trousers, waistcoats and polo shirts – helping serve a range of high visibility purposes. Each item of clothing in the range has been designed to offer maximum visibility for the wearer without inhibit movement or dexterity – allowing them to complete all necessary tasks. Well-suited to the demands of a wide range of different professions and industries, the Pulsar high visibility clothing items can help keep your entire team safe and protected in work. For more information about all the high-vis clothing options from Manchester Safety Services, contact our dedicated sales team on 01706 364943.